Russia appears to be preparing for war as troops have lined up on the North Korea border just one day after Vladimir Putin’s nation fired a ballistic missile. A large number of soldiers were seen arriving near the Khasan crossing point between the two nations on Tuesday. Photos captured some of the troops patrolling the top of Zaozyonara Hill, a meeting point between Russia, North Korea and China. Russia is thought to be concerned at the build-up of US troops in South Korea as Donald Trump and Kim Jong-un continue their war of words. Moscow has previously denied moved more troops to the border area as tensions between the US and Kim’s regime reach boiling point. Earlier this year, the movement of heavy weaponry towards the border was also caught on camera. Frants Klintsevich, the first deputy chairman of the Russian upper house’s Committee on Defence and Security, has warned that any US action against North Korea would also be seen as a hostility towards Russia due to their shared border. The highest tensions have been in decades. North Korea and the United States are at an entirely new level of conflict. At any minute something could trigger an all out invasion of North Korea and multiple nuclear missile launches at the United States, South Korea and Japan. [ATS] Last month a bulletin was issued by the Joint Regional Intelligence Center, regarding preparing California for a nuclear attack from N. Korea. I know Kim would be insane to start a war with the U.S. and unfortunately we all know he is insane. Things have ramped up since this was issued, and I’m concerned that our President is pushing Kims buttons. Kim has painted himself in a corner on this, and saving face could cause him to do something radically stupid. It contains some advice that I think everyone might want to know. Readers are encouraged to familiarize themselves with nuclear response emergency procedures. How to lessen the exposure to nuclear radiation, and what to expect from the Govt. With U.S. President Donald Trump and North Korean leader Kim Jong Un trading insults and threatening war, California officials are taking the threat of nuclear exchange seriously. Noting the heightened North Korean threat, the Los Angeles-area Joint Regional Intelligence Center issued a bulletin last month warning that a nuclear attack on Southern California would be “catastrophic” and urged officials in the region to shore up their nuclear attack response plans. The report cites North Korea’s late July test of an intercontinental ballistic missile that could, in theory, reach the West Coast of the United States. “North Korea’s propaganda videos feature ruins of San Francisco and Washington,” the document says.“North Korea’s propaganda videos feature ruins of San Francisco and Washington,” the document says. The 16-page “Nuclear Attack Response Considerations” bulletin is dated Aug. 16 and marked for “official use only.” It was circulated last month to Los Angeles-area local, state, and federal agency personnel and also throughout the Department of Homeland Security and other federal agencies across the country. The idea behind the unclassified report was to share planning and guidance with as wide a distribution as possible, according to two officials involved in responding to a nuclear strike and who received the bulletin. Many agencies are involved in responding to an attack and are often staffed with personnel without access to classified information. DHS did not respond to requests for comment. Much of the information in the report is based on well-known facts about the effects of a nuclear blast, including the effects of radiation, the possibly of an electromagnetic pulse disabling communications, and the destructive effects of the initial blast on human life and infrastructure. Citing figures from the Rand Corp., the report says a nuclear blast at the Long Beach Port could cause more than $1 trillion in damage, including loss of life and destruction of homes and infrastructure. There are also sections explaining the basic mechanisms of a nuclear blast as it occurs and discussion of specific things expected to happen in the event of a nuclear attack that should be considered and prepared for in advance. Challenges with contamination spread by pets and through clothing are among the many public health and logistical coordination issues spelled out for potential emergency responders. The report, which is largely directed at local, state, and federal agencies and first responders located in the Los Angeles region, notes that the federal government will likely be of limited help immediately after a nuclear blast. “[T]here will be no significant federal assistance at the scene for 24-72 hours following the attack,” the bulletin says. 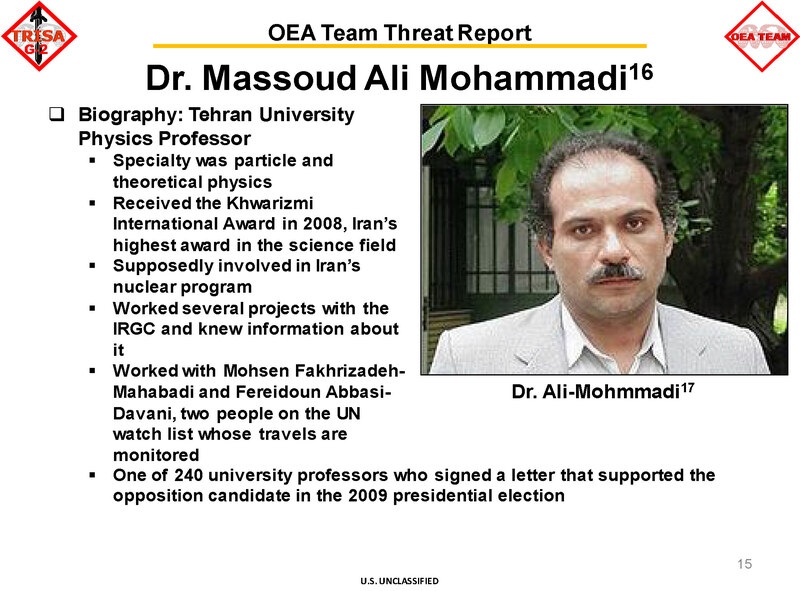 The Mossad – Iran Intelligence – Would Iran Use the Bomb? 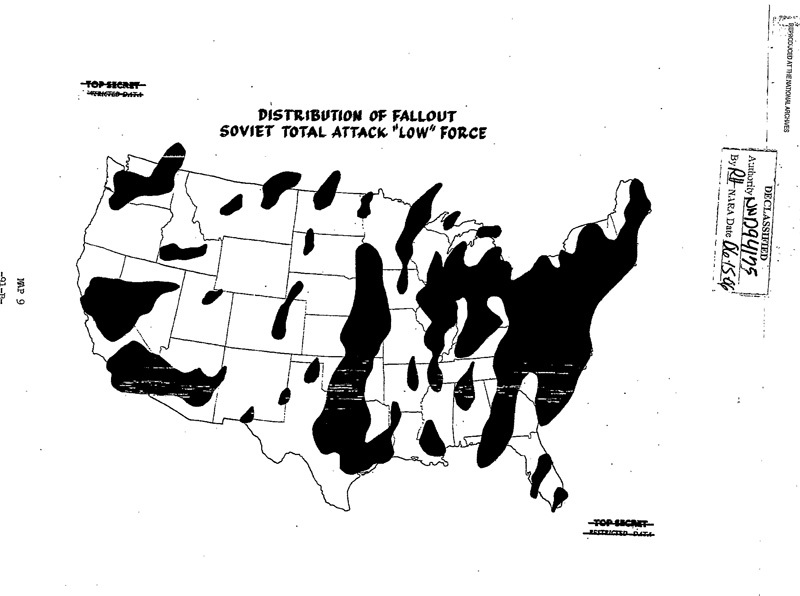 Estimated distribution of radioactive fall-out on U.S. caused by a Soviet retaliatory launch-on-warning (LOW) attack in mid-1965 on a range of U.S. target systems: urban-industrial (also Canadian), air defenses (also Canadian), SAC bases, naval bases, command-and-control, and military depots. Washington, D.C., 2014 – On the morning of 20 July 1961, while the Berlin Crisis was simmering, President John F. Kennedy and the members of the National Security Council heard a briefing on the consequences of nuclear war by the NSC’s highly secret Net Evaluation Subcommittee. The report, published in excerpts today for the first time by the National Security Archive, depicted a Soviet surprise attack on the United States in the fall of 1963 that began with submarine-launched missile strikes against Strategic Air Command bases. An estimated 48 to 71 million Americans were “killed outright,” while at its maximum casualty-producing radioactive fallout blanketed from 45 to 71 percent of the nation’s residences. In the USSR and China, at the end of one month 67 and 76 million people, respectively, had been killed. The NESC reports on nuclear war were multi-volume, highly classified studies and none has ever been declassified in their entirety. The summaries published here today — for the annual reports from 1957 to 1963 — provide a glimpse of the full reports, although important elements remain classified. Besides the summaries and fuller reports for 1962 and 1963, today’s posting includes a number of special studies prepared by the NESC, including an especially secret report requested by President Eisenhower that led to the production of the comprehensive U.S. nuclear war plan in 1960, the Single Integrated Operational Plan (SIOP). The National Security Council’s Net Evaluation Subcommittee was a small and highly secret organization that prepared annual reports analyzing the “net” impact of a U.S.-Soviet nuclear exchange, in terms of losses of people, military assets, and industrial resources. For Eisenhower such studies were essential; he came to believe that a U.S.-Soviet military conflict would quickly go nuclear and that as long as winning was what mattered, “one could not be meticulous as to the methods by which the force was brought to bear.” Studies on nuclear war, mainly the estimated impact of a U.S. atomic air offensive, had begun during the Truman administration — for example, the 1948 Harmon report and Weapons System Evaluation Group [WSEG] study 1 — but they were not prepared at the presidential level and did not estimate the impact of a Soviet attack on the United States. For years, the very existence of the NESC was a well-kept secret. Its name leaked to the press only once when a deputy director died in a 1956 plane crash in the Potomac, but the news stories provided no explanation of the NESC’s work. Historians and the interested public did not know anything about the Subcommittee until the 1980s and 90s, when presidential libraries started to declassify documents about its role in government, and the State Department’s Foreign Relations of the United States series began to publish records of NSC meetings where the NESC presented its findings. With the end of the Cold War, the NESC scenarios of a U.S.-Soviet general nuclear war appear obsolete and irrelevant. Even with renewed tensions with Russia, the possibility of nuclear war or even a direct conventional military confrontation is exceedingly remote. Nevertheless, the terrifying NESC scenarios are a reminder of the concerns that motivated Kennedy and his successors to seek to control the nuclear arms race and to avoid conflicts by pursuing détente with the Soviet Union. In any event, the threat of nuclear war is not an imaginary one. Today India and Pakistan are pursuing a dangerous and destructive nuclear arms race and war could produce terrible consequences for the people of South Asia. 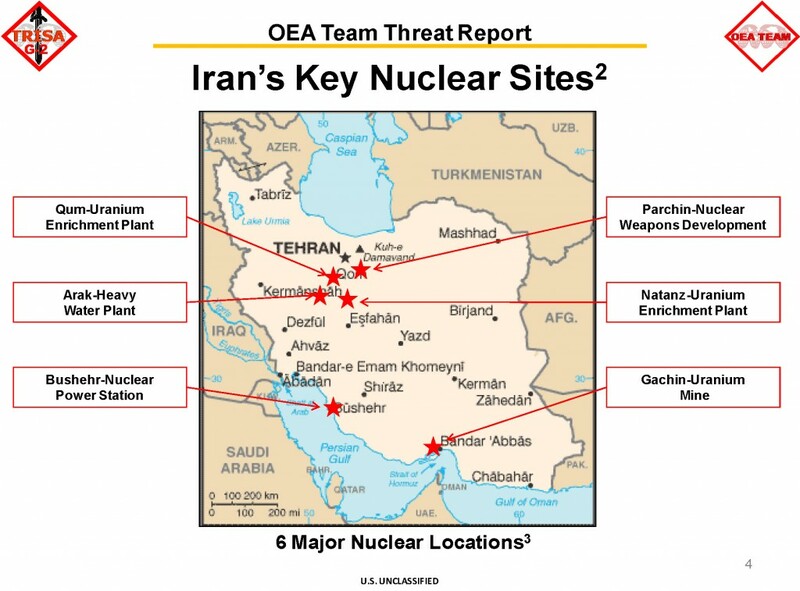 Whether the leaders of those countries have asked their nuclear experts to undertake NESC-like studies is unknown, but they may find the reports of the Eisenhower-Kennedy era to be useful examples for projecting the possible consequences of the worst-case scenario. The 1963 report was the last of the NESC’s annual assessments. Perhaps because the studies showed the same terrible consequences year after year, policymakers asked the NESC to look more closely at crisis management issues. A report in late 1963 focused on “The Management and Termination of War with the Soviet Union,” while one the following year examined a military crisis in Western Europe. By early 1965, at the instigation of a turf-conscious Secretary of Defense Robert McNamara, the NESC no longer existed. McNamara argued for its abolition on grounds of organizational efficiencies, but a key problem was that the NESC had prepared a report that was not to his liking [See documents 10A-C]. The declassification of NESC reports raises questions about the claim that the “U.S. was never the aggressor” in war games and other exercises depicted as occurring in an “official future.” This claim needs to be considered carefully because the Subcommittee produced several reports — namely, for 1962 and 1963 — that postulated the United States as the initiator of preemptive nuclear attacks, close to a classic first strike. Whether a preemptive strike is “aggressive” depends on the point of view; the concept of preemption depends on accurate strategic warning of an attack, so it could be seen as an aggressive response to imminent aggression. But a preemptive strike based on an inaccurate warning would be both aggressive and catastrophic. In any event, well before 1962, preemption was an element of U.S. nuclear war planning and U.S. military planners continued to assess whether it was advantageous or not. The classified NESC reports are under the control of the National Security Staff at the White House. At the close of the Clinton administration, the NSS turned over most of the historical National Security Council institutional files to the presidential libraries but a sub-set of intelligence files, such as records of the 303 and 40 committees that vetted intelligence operations, remain in White House hands. The Staff works with the presidential libraries and documents in this collection can be requested from the relevant library. Because the NESC reports are large, multi-volume works, the Archive began by requesting summaries of the reports during 1957-1963. That alone, including a prolonged appeals process, took over 12 years to accomplish. In the meantime, the Defense Department has denied in its entirety a 2001 FOIA request for reports from the Eisenhower period, necessitating a new appeal. Separate requests for declassification of the first volumes of the 1956, 1961 and the 1963 reports are also underway. The report includes a detailed description of the estimated damage that an attack by some 1,000 Soviet long-range bombers would cause to U.S. military installations and economic resources, including industry, money-credit system, and nuclear energy facilities. The damage assessment includes an estimate of death caused by high-altitude or low-altitude attacks, with or without evacuation from cities. Without evacuation, the high-level attack would cause 9,600,000 deaths in industrial areas; but with evacuation the numbers would be in the range of 4,400,000. For the low-altitude attack, the numbers were 3,100,000 and 5,100,000 respectively. When the NSC Net Evaluation Subcommittee was established in 1955, it started by focusing on the net impact of a Soviet attack, although U.S. retaliatory strikes would be taken into account. In 1956 the NESC received instructions to look in detail at the impact of the U.S. attack on Soviet bloc targets. Each of the reports would postulate the total megatons detonated by Soviet and U.S. nuclear strikes. 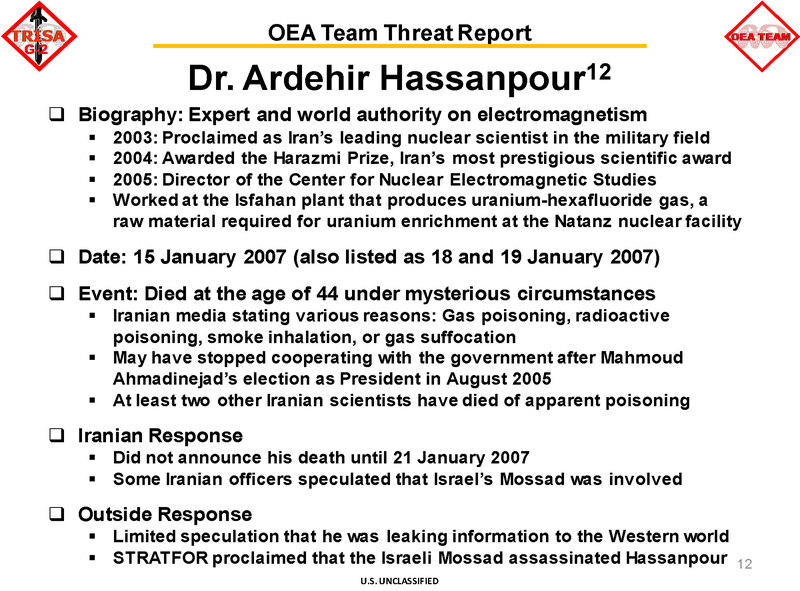 Over the years this information has been classified but it was disclosed in this FOIA release. For the purposes of comparison, one megaton-a million tons-of explosive yield is equivalent to about 66 of the 20 kiloton weapon that devastated Hiroshima. The NESC’s report for 1957 analyzed the consequences of four Soviet bomber-missile attacks launched under various circumstances in 1960, three of which were surprise attacks on U.S. forces at different states of readiness. Except for air defenses, U.S. forces were at “full alert” for the fourth scenario. All four attacks were devastating although the attack under condition II was less so because U.S. air defense forces were in a high state of readiness. Thus, the U.S. suffered an estimated 46 million fatalities instead of 85 million. The attack scenario began with the detonation of clandestinely-introduced nuclear devices in New York City and Washington, D.C. This was a scenario that reflected Cold War suspicions and obsessions, but by the mid-1950s, U.S. intelligence estimated that the Soviets had the capability to introduce clandestine devices under diplomatic cover but would be more likely to use them as an “auxiliary” method of attack than as an important means of disabling the United States. In the NESC scenario, the surprise detonations provided early warning to SAC alert forces which made it possible for them to launch a devastating strike that left the Soviet Union with “no remaining capability to deliver a nuclear attack” against the United States. Nevertheless, “a nuclear war initiated by the USSR against the United States under circumstances of either ‘Strategic Surprise’ or ‘Full Alert’ would result in the devastation” of both countries. The NESC looked closely at the U.S. retaliatory attack that would be launched in response to the Soviet attack under condition VI. Seven hundred and twenty SAC bombers and 47 strategic missiles delivered an attack on military targets in the Soviet Union, including 74 government control centers. SAC did not target industry or populations per se, so devastation and fatalities were caused by the “fallout and the bonus received from the blast and thermal effects of’ weapons detonating off their desired targets or on military targets in population centers.” “Bonus” conveyed the idea of unplanned but nevertheless useful destruction, but is misleading because blast and thermal effects were inherent features of the weapons. The NESC analysts argued that the study demonstrated the need for more effective defenses and robust alert forces: air defenses, anti-ballistic missile systems, dispersed nuclear forces on constant alert, hardened ballistic missile sites, fallout shelters, and electronic systems for warning of Soviet missile attacks. Such recommendations recurred in subsequent reports. The NESC report for 1958 presented a devastating Soviet attack in 1961 involving the detonation of 553 nuclear weapons on the United States with a total yield of 2,186 megatons. The attack produced “widespread fires” burning out 169,000 square miles or 5.7 per cent of the U.S. land area. Moreover, a “lethal blanket of radiation” covered “at its maximum one-half the nation, and persisted in small areas for over two years.” Fifty million Americans were dead and nine million were sick or injured, out of a pre-attack population of 179 million. When housing and food supplies were destroyed, exposure and starvation caused more deaths. The U.S. retaliatory attack on the Sino-Soviet bloc was by 805 bombers, 5 ICBMs and 41 IRBMs. At President Eisenhower’s instruction, the NESC staff was to posit an attack on a combined military/urban-industrial target system. That included, according to the NSC minutes and a memorandum by Gerard C. Smith, every city with a population of over 25,000. Moscow itself was targeted with a 100-megaton attack by missiles and bombers. The report generated rather differing assessments by Smith and President Eisenhower, but also an important nuclear planning initiative. Smith raised questions about morality and over-destruction, while Eisenhower suggested that the destructiveness was about right, but should not be increased. . Noting that that the estimated attack would “paralyze the Russian nation” and “[destroy] the will of the Soviet Union to fight,” Eisenhower thought it would be wrong to go further and to “require a 100 per cent pulverization of the Soviet Union.” “There was obviously a limit — a human limit — to the devastation which human beings could endure.” These considerations led Eisenhower to request a study on what types of retaliatory attacks would best deter the Soviet Union from future attacks: an attack on a military-target system or an “optimum mix” of military and urban-industrial targets. The request was NSC Action 2009 and the resulting studies would lead to the first Single Integrated Operational Plan. Sources: A: DDEL FOIA release; B: FOIA release from NARA, Record Group 341, United States Air Force (Air Staff), Directorate of Plans, Records for 1958, box 36, OPS 40 (Speeches, Briefings, Presentations) (6 Sept 58-Dec 58). 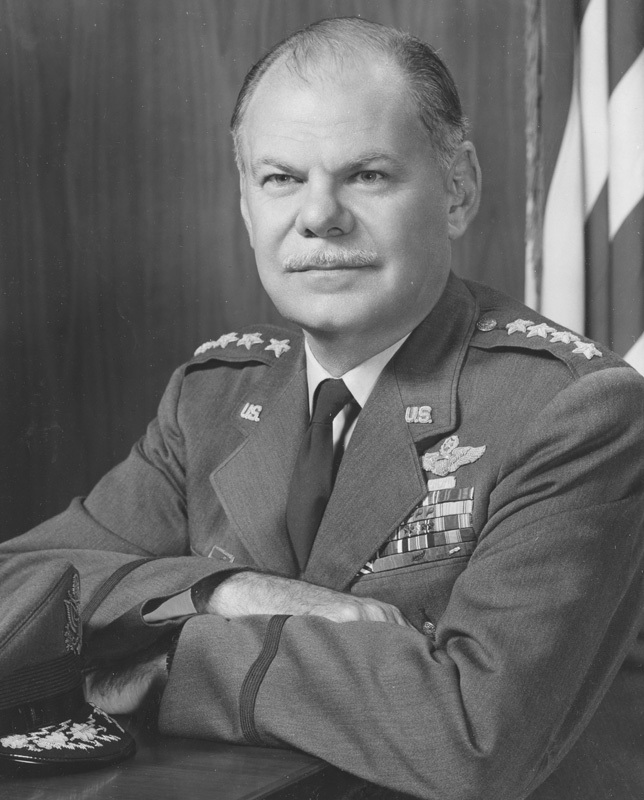 A briefing by Colonel Brian Gunderson on “Air Force Concept of Operations in the 1962 Time Period for Unrestricted General War” provides an example of the kind of input that the NESC received to develop its scenarios. Noting that U.S. policy rejected preventive war, Gunderson argued that this did not mean the United States must “suffer a surprise, direct and possibly massive and devastating attack before our strategic offensive force is launched.” It was possible to initiate “hostilities … under other circumstances” To destroy Soviet counter-force targets, the Air Force could take the “initiative” by which Gunderson probably meant preemption; consistent with this, he later mentioned the possibility of receiving a strategic warning. In the event of a surprise attack that inflicted substantial losses, the Air Force needed a force that could “prevail” by having a capability to destroy remaining Soviet strategic-nuclear forces. Net Evaluation Subcommittee, Appraisal of the Relative Merits, from the Point of View of Effective Deterrence, of Alternative Retaliatory Efforts, 30 October 1959, Top Secret, excised copy. Page 13 missing in file and page 39 incomplete. In late 1960, as one of the last acts of his administration, President Eisenhower signed off on the first Single Integrated Operational Plans, SIOP-62 (for fiscal year 1962). The history of SIOP-62 is well known, thanks to David A. Rosenberg’s path-breaking studies and the declassification of significant documents from the period. Nevertheless, this study, a key starting point for SIOP-62, has been classified for decades and is still only available in part. Requested by President Eisenhower in December 1958, the study was so secret that the regular members of the NESC, such as the Chairman of the Atomic Energy Commission and the Federal Civil Defense Administrator, were out of the loop. 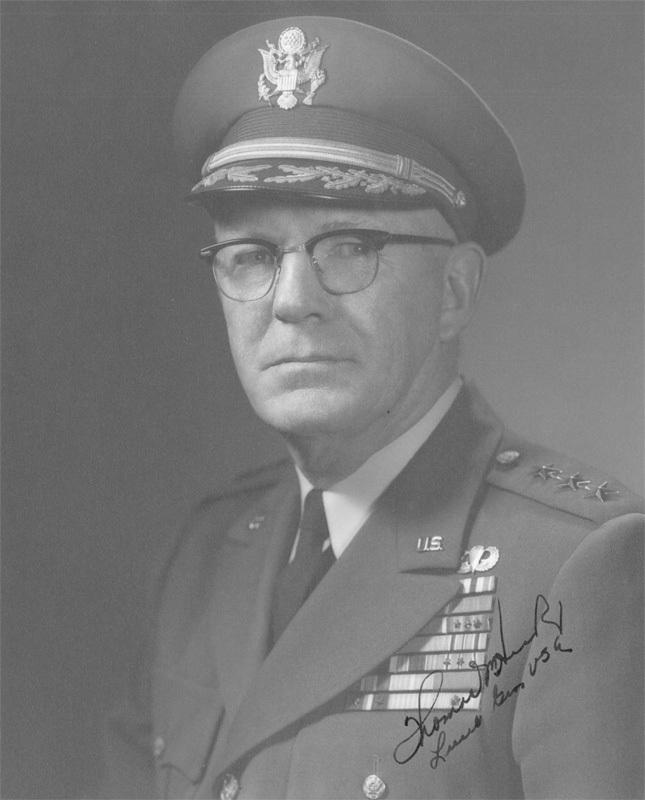 Only Staff Director Lt. General Thomas Hickey (U.S. Army) and the Committee staff were involved in its production. Following Eisenhower’s instructions, General Hickey and the NESC staff reviewed three target systems-military, urban-industrial, and an “optimum-mix” of urban-industrial/military targets-to determine the extent to which a capability to destroy them would provide an effective deterrent and enable the United States to “prevail” in the event of general war. The result of the NESC’s effort was a several-hundred-page study, some of which has been declassified with excisions (annexes E, F, and G are still undergoing review). But the basic conclusion stands out: compared with retaliation against urban-industrial targets or military targets only, the attack on the “optimum mix” target-system, if successful, would “substantially destroy or neutralize the enemy nuclear delivery capability, retard the movement of land, sea, and air forces in the USSR and China, substantially destroy primary and secondary military and government controls, cause in excess of 35 percent casualties in the USSR and 15 percent in China, and indefinitely paralyze the war-supporting industries of both countries. Such extensive destruction would place the United States in “a position of relative advantage from which to ultimately prevail.” That sanguine assumption became the premise of SIOP-62. 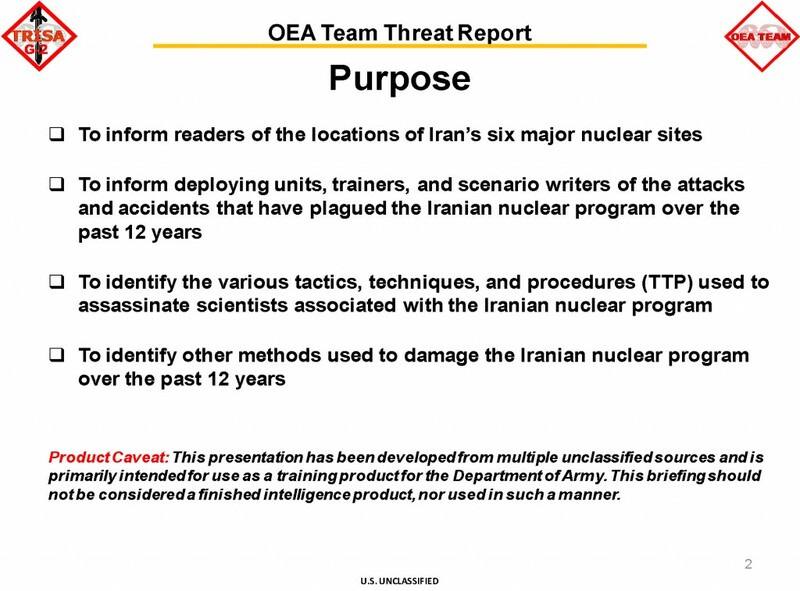 Estimates of destruction or damage expectancy and of assurance of delivering a weapon to the Bomb Release Line were significant elements of the report. Assurance of delivery ranged from 75 to 90 percent. Because 100 percent destruction was impractical and too expensive, the NESC called for a 90 percent probability of achieving varying degrees of damage-ranging from “severe” to “significant.” Anything less than 90 percent would raise questions about the value of the target as such. 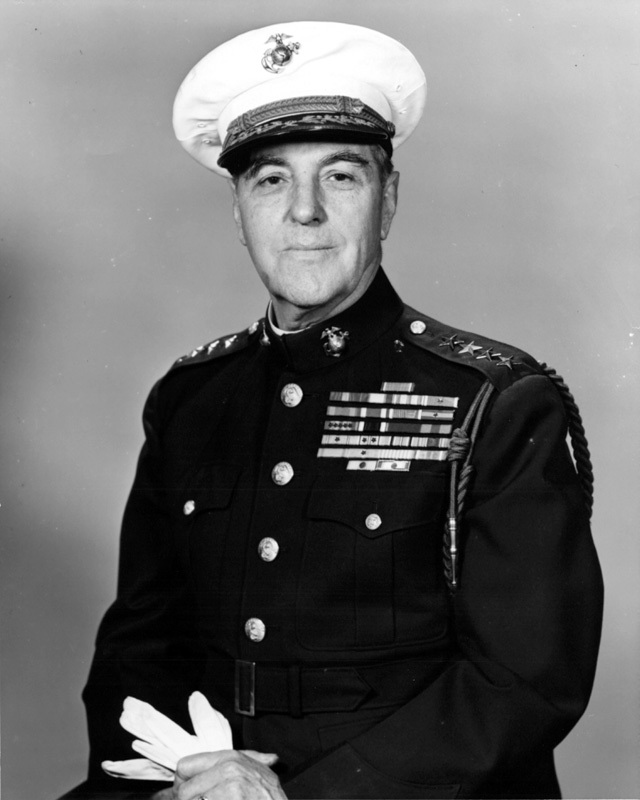 When the first SIOP was constructed by the Joint Strategic Target Planning Staff, 90 percent (or higher) was boiler plate, which White House science adviser George Kistiakowsky and some Navy and Army leaders saw as a sign of excessive destruction or “overkill” that needed to be scaled back. 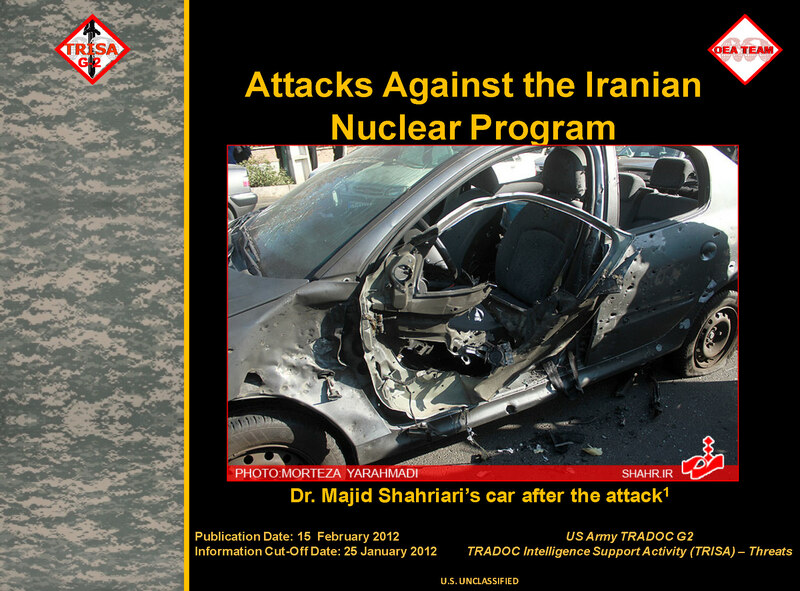 Nevertheless, high levels of damage expectancy remained a basic feature of the SIOP for years to come. On the basis of a sketchy record of this NSC meeting, one researcher concluded that the 1961 report was an actual plan for a “preemptive strike” on the former Soviet Union. But this confuses the NESC’s analytical purposes with the nuclear war planning which went on elsewhere in the federal government. The topic of the 1961 report was the usual Soviet surprise attack and U.S. retaliation, all taking place in the fall of 1963. The summary included a striking overview statement: “the scope and intensity of destruction and the shattering of the established political, military and economic structure resulting from such an exchange would be so vast as to practically defy accurate assessment.” Estimated population losses were huge: in the USSR and China at the end of one month: 67 million and 76 million people respectively. The United States “suffered severe damage and destruction from the surprise Soviet attack … Tens of millions of Americans were killed outright; millions more died in subsequent weeks. The framework of the federal and of many state governments was shattered.” Between 48 and 71 million were killed and casualties increased during the year that followed. A detailed record of this meeting has not surfaced, but the previously mentioned summary includes President Kennedy’s admonition that the meeting and its purpose were to be kept secret. Nevertheless, some word about the event leaked and an article by Fletcher Knebel-co-author of Seven Days in May published in 1962-mentioning the briefing appeared in Look Magazine on 21 November 1961. In a memorandum to President Kennedy, McGeorge Bundy rebutted the Knebel article point-by-point. The report on targeting [Document 6] was not the last special project requested of the NESC. Another one came in March 1961 when Secretary of Defense Robert McNamara asked General Hickey to prepare a study that would serve as a “foundation for the determination of requirements for delivery vehicles for strategic nuclear weapons” and to do this by laying out alternative U.S. nuclear postures and strategic objectives and to evaluate them in terms of the achievement of strategic objectives, implications for budgets, Soviet objectives/postures/budget levels, and “alternative circumstances of war outbreak and termination.” The first study, not yet available, was due 1 June 1961. The Final Report, prepared months later, represented an attempt to “flesh out” the actual strategic force levels, for each year from 1961 to 1971, required for implementing the Kennedy administration’s “controlled response” strategy. In 2006, five years after the Archive requested summaries of the NESC reports from the Kennedy years, volume 1 of the 1962 report was declassified from JCS records at the National Archives. So far, this is the most complete release of any of the NESC annual reports and it is more complete than the excerpts for 1962 released under FOIA. The declassification at NARA included a list of the attendees at the briefing: President Kennedy and members of the National Security Council, along with Attorney General Robert F. Kennedy, civil defense chief Edward McDermott, and several senior White House staffers. Substantially fewer people attended this briefing than the one held the previous July, probably because of the press leak mentioned earlier. This NESC report is of a Vietnam War scenario in 1965 with conflict stemming from a North Vietnamese invasion of South Vietnam and Laos escalating into general war with China and Soviet Union. The NESC depicted two “general wars,” one involving Soviet preemption against the U.S., the other a U.S. preemptive attack against the Soviet Union. Both wars started out with counterforce strikes against nuclear targets, but they culminated with massive targeting of urban-industrial targets. As expected, both wars involved enormous destruction with millions of fatalities and injuries on both sides; nevertheless, the NESC found that in both wars “the net balance …would favor the US.” In both scenarios, the “US strategic military posture would remain superior to that of the Soviet Union.” In overall terms, the Subcommittee found that in both scenarios “the net balance … would favor the US.” The next year’s report provided a striking contrast. Even with the stalemate, the SIOP would continue to include a preemptive option in the unlikely event that decision-makers had “strategic warning” of an impending Soviet attack. Moreover, by the 1970s, with the Defense Support System giving approximately 25 minutes of warning before an attack, a launch on warning option became available although it was fraught with risk of a false alarm. Not long after the presentation of the 1963 report, the NESC staff completed the first U.S. government systematic study of the problem of nuclear war termination. Worried about the inflexibility of U.S. nuclear strategy, the Kennedy administration had begun to look closely at “flexible response” and “controlled response” strategies for fighting conventional war or lower-level nuclear conflicts in NATO Europe. Consistent with that, the NESC took up the daunting task of considering whether it was possible to fight a nuclear war in a “discriminating manner” so that it ended on “acceptable terms” to the United States while avoiding “unnecessary damage” to adversaries and allies. To illustrate the problem of war termination, the NESC presented three scenarios of a U.S.-Soviet nuclear war, 1) an all-out Soviet attack on the U.S., 2) a U.S. preemptive counterforce attack (based on certain knowledge of Soviet attack preparations), and 3) escalation from conventional to limited nuclear conflict, with scenarios of European and Far Eastern conflicts. The last NESC report on the management of possible U.S.-Soviet crises remains classified but a short summary is available, as is Secretary of Defense McNamara’s proposal to abolish the NESC immediately thereafter. To prepare the report, members of the subcommittee staff, including James E. Goodby, met with top U.S. military officers in Western Europe, including Supreme Allied Commander Europe General Lyman Lemnitzer. A meeting with 7th Army Commander General William Quinn (father of Washington Post journalist Sally Quinn) was especially important because Quinn questioned the deployment of Allied forces in West Germany and the degree to which they could counter a Soviet attack. Goodby recalls that the report addressed a number of issues that the military thought needed attention, but which Defense Department planners were not considering, such as maldeployment of Allied forces across the North German plain. The implication was that the task of creating a non-nuclear flexible response that would be compatible with forward defense was a tougher problem than McNamara was portraying and would probably require greater defense expenditures by the Allies than he had proposed..
Recalling that McNamara became “visibly angry” during the briefing, Goodby surmised that he saw the NESC as a challenge to his authority because it was an independent channel for the military to provide its analysis to the White House. The next day, McNamara proposed to President Johnson that he abolish the NESC. McNamara’s proposal did not mention policy disagreements. Instead, he emphasized organizational efficiencies; for example, that the Subcommittee duplicated functions that Pentagon offices, such as the JCS Special Studies Group, were already performing better. According to McNamara, while the NESC’s “annual study program …had value and relevance in 1958, its contribution today is marginal.” President Johnson concurred and the NESC was soon disbanded. Quoted from Marc Trachtenberg, “A Wasting Asset: American Strategy and the Shifting Nuclear Balance,” History and Strategy (Princeton: Princeton University Press, 1991), page 138. David A. Rosenberg, “American Atomic Strategy and the Hydrogen Bomb Decision,” Journal of American History 66 (1979): 62-87. See, for example, Andreas Wenger, Living with Peril: Eisenhower, Kennedy, and Nuclear Weapons (Lanham, Md: Rowman & Littlefield, 1997), 143, and Lawrence Freedman, Kennedy’s Wars: Berlin, Cuba, Laos and Vietnam (New York: Oxford University Press, 2000), 282-284. Freedman does not mention the NESC as such, but discusses the findings of the 1963 report as referred to in FRUS (see note 2). Matthew Connelly et al, “‘General, I Have Fought Just as Many Nuclear Wars as You Have’: Forecasts, Future Scenarios, and the Politics of Armageddon,” The American Historical Review 117 (2013), 1451. For the role of preemption in nuclear planning and its relationship to launch-on-warning options, see Bruce Blair, The Logic of Accidental Nuclear War (Washington, D.C.: Brookings Institution, 1993). For the work of the NSC Special Evaluation Subcommittee, see Report to the National Security Council by the Special Evaluation Subcommittee of the National Security Council, 18 May 1953, and Memorandum of Discussion at the 148th Meeting of the National Security Council, Thursday, 4 June 1953, both published in Foreign Relations of the United States, 1952-1954, Volume II, Part 1 (Washington, D.C.: Government Printing Office, 1979). This is one of the few explicit references to mass fires in the NESC summaries, although fires and fire storms are a predictable feature of nuclear explosions and can be much more destructive than blast effects. See Lynn Eden: Whole World on Fire: Organizations, Knowledge, and Nuclear Weapons Devastation (Ithaca: Cornell University Press, 2004). David Allan Rosenberg, “The Origins of Overkill: Nuclear Weapons and American Strategy, 1945-1960,” International Security 7 (Spring 1983): 3-71. 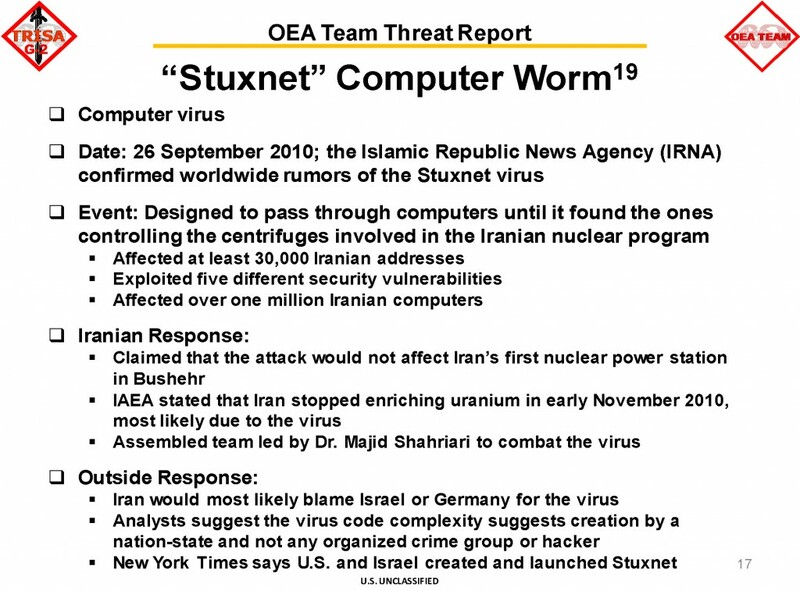 See also “New Evidence on the Origins of Overkill,” National Security Archive Electronic Briefing Book No. 236. For divergent JCS views on the NESC report, but approval of the “Optimum Mix” concept, see Memorandum from the Chairman of the Joint Chiefs of Staff to President Eisenhower, “Appraisal of Relevant Merits, from the Point of View of Effective Deterrence, of Alternative Retaliatory Efforts,” 12 February 1960,” U.S. Department of State, Foreign Relations of the United States 1958-1960 Volume III (Washington, D.C.: Government Printing Office, 1996), 383-385. Dean Rusk, As I Saw It (New York: W.W. Norton & Company, 1990): 246-247. James K. Galbraith,“Did the U.S. Military Plan a Nuclear Strike for 1963?,” The American Prospec, Fall 1994. Telephone conversation with Ambassador James Goodby, 5 June 2014.